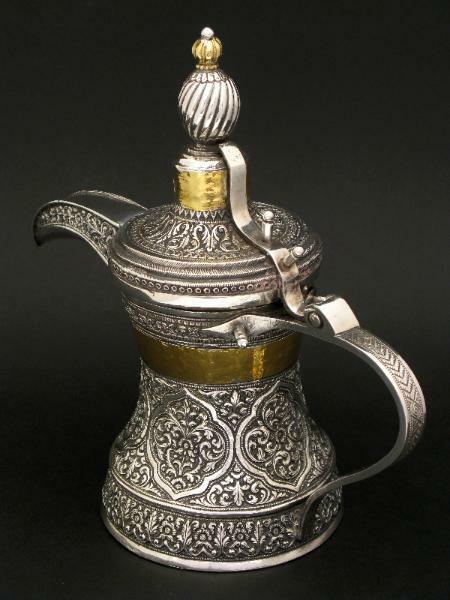 Typically Cutch export silverwork was for export to Europe and most particularly the Britain. 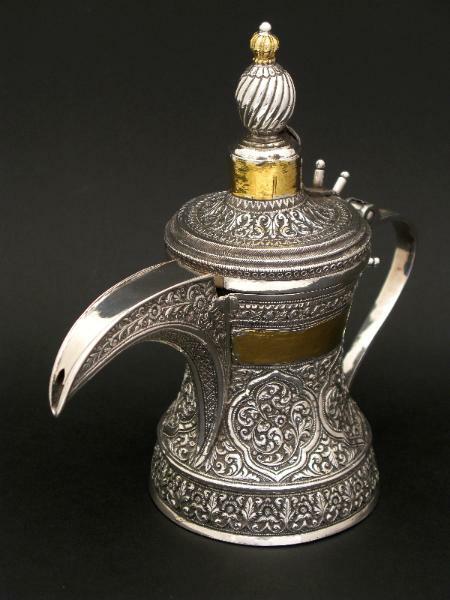 It is highly unusual to see a piece of Cutch silver made specifically for the Ottoman or Middle East market. 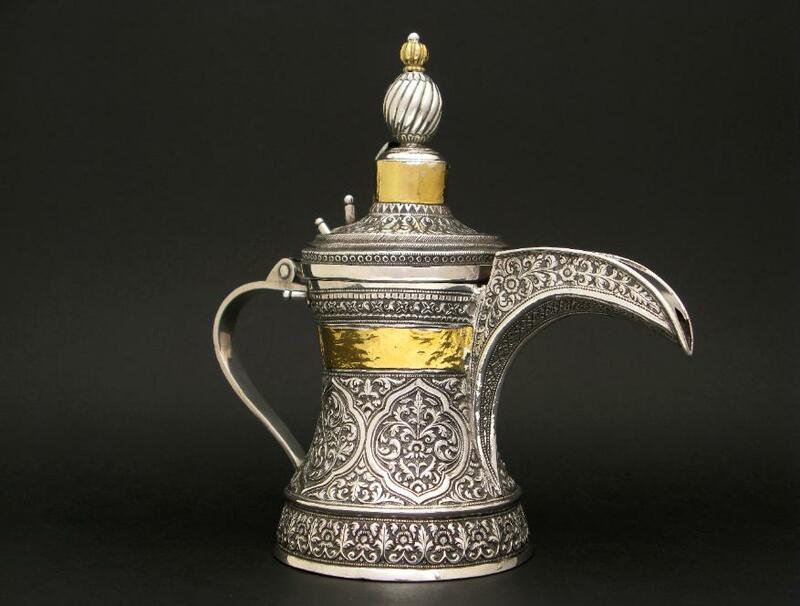 This coffee pot follows the style of coffee pots encountered in Turkey, northern Africa and the Middle East, although such examples are nearly always of brass. This example is finely repoussed and chased silver employing typically Cutch floral and foliage patterns has a long spout and a wide handle. The hinged lid is surmounted by an extraordinary multi-level finial that rises in a way reminiscent of an Ottoman turban. The finial is partly gilded. Also the base of the pot and the lid are embellished with applied thin gold or gilt bands secured by means of small silver pins. That Cutch work should follow a Middle Eastern form is not surprising. There were ample migratory and trading links between Oman and Zanzibar for example. Overall, this is an elegant, unusual and probably a unique piece.